wanderings of a little soul: music i love. singer songwriter girl with an unquenchable wanderlust in her big gypsy heart. she loves martin-guitars, erin wasson, tooth gaps, any type of camera, stevie nicks, messy hair, braids, pippi longstocking, boyfriend-wear, short bangs, brigitte bardot, barefooted dances, long full moon nights, quentin tarantino, knee/thigh highs, salty skin, confetti, c.s. lewis, full lips, carlos ruiz zafon, paulo coelho, pale people, hippie hair, flowercrowns, summer, wild and reckless ones, sleepy people, tambourines, harmonicas, multi colored hair and jeans shorts. the perks of being different. 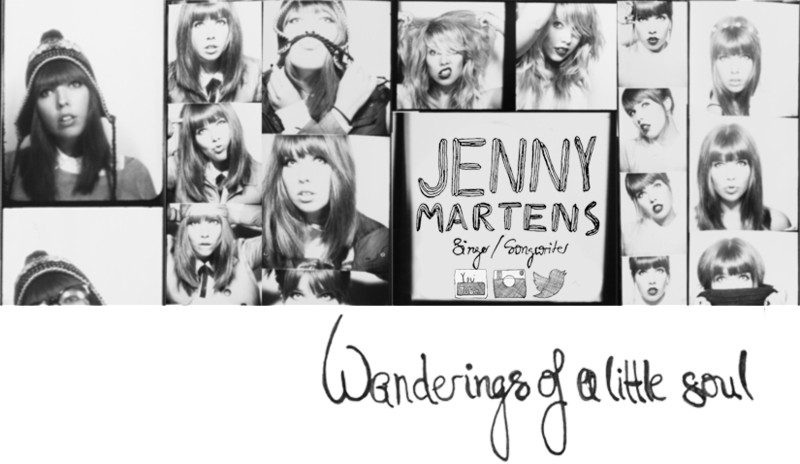 Jenny Martens. Design "Einfach". Powered by Blogger.